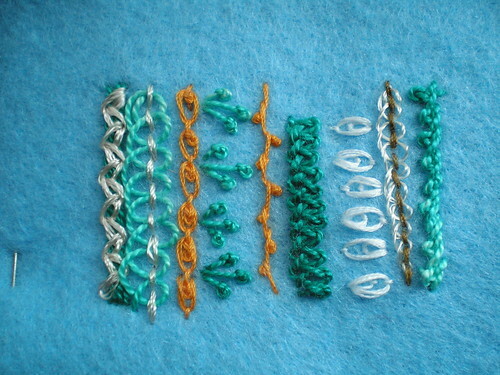 I am restarting this blog to participate in Sharon B’s Take A Stitch Tuesday challenge. Wish me luck! Not elegant, but I wanted to at least try these stitches. There were a couple of TAST stitches I never managed this year – for instance, Lace Border stitch (week41) was a masochistic adventure. 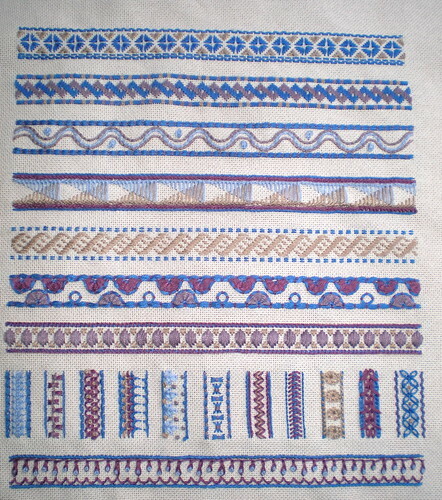 Shisha stitch I had tried a few years ago, so didn’t do a new sample. And there were a couple that I worked but didn’t get around to post. 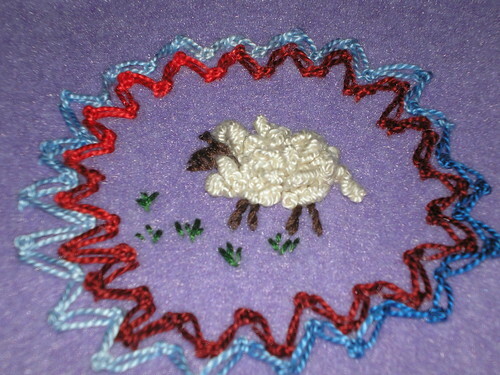 During the past year, I’ve followed Sharon B.’s Take A Stitch Tuesday challenge. I’m running far behind, but here are a couple of the pieces I’ve worked on.